The baker did her best. She sourced artisan flours from organic wheat. 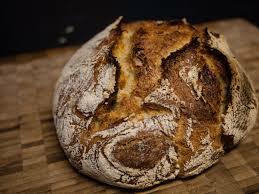 She hand-kneaded dough and left it to prove for a long time – often overnight. She nurtured a sour dough starter, lovingly tending it and feeding it ever day so that she could produce the most delicious bread, rich and chewy its flavour fizzing on the tongue. Naturally such bread did not come cheap. Her loaves were four times as expensive as supermarket squishy sponge as she referred to it. Did you go into the business to make money, her friends asked? No, only to make dough she was able to reply.